The ultra light Hummingbird weighs in at about 3,000 pounds and packed with features and modern conveniences, it's the definition of towable fun. 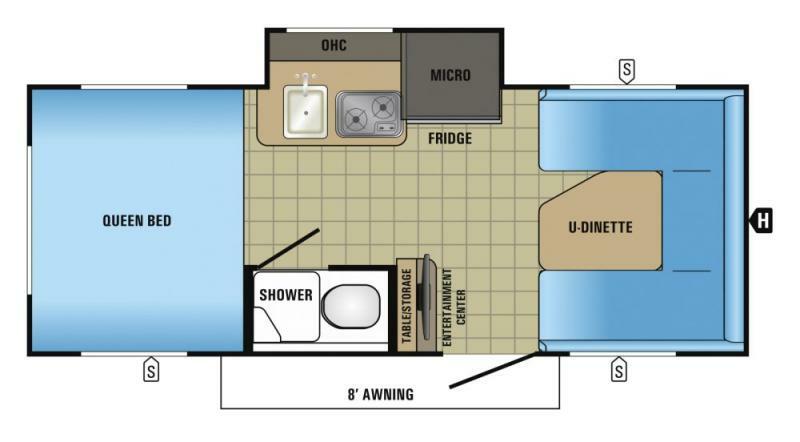 Contact Affinity RV for details on our 2017 Jayco Hummingbird 17FD and start your RV dreams today! Exterior Height with A/C 109"